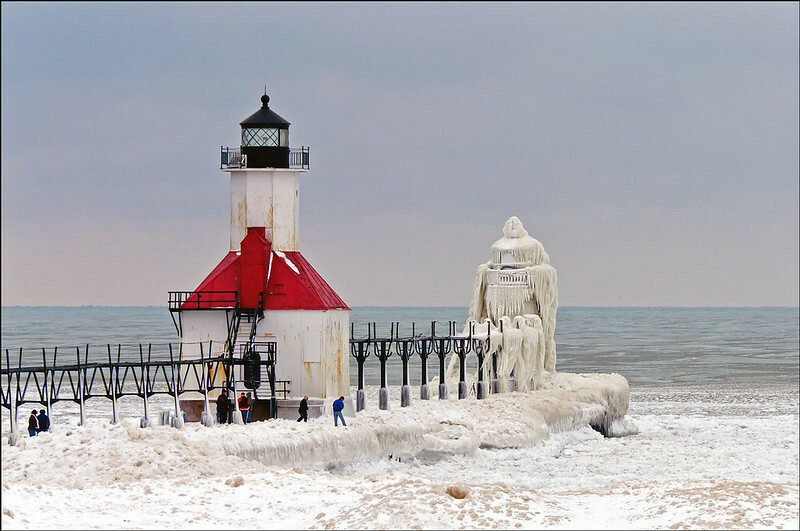 Located on Lake Michigan is the St. Joseph North Pier (google maps), which features two lighthouses (‘Outer’ and ‘Inner’) that were both built over a century ago. 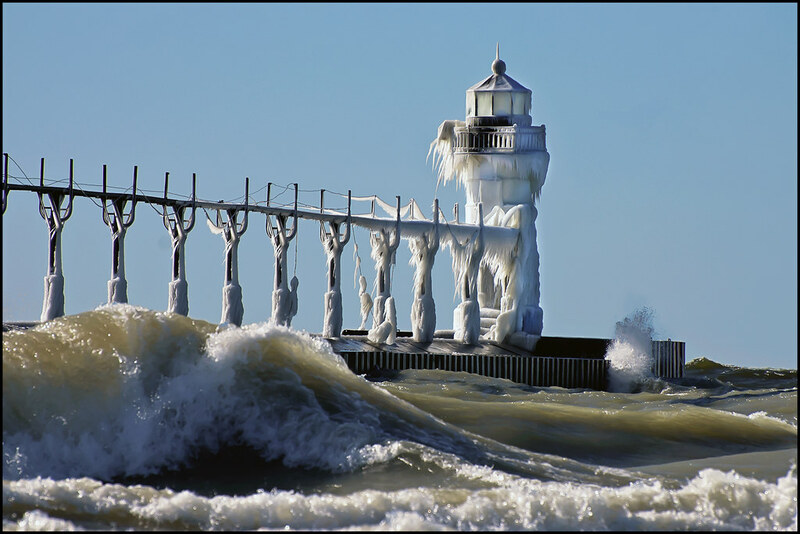 When the wind picks up during Michigan’s frosty winter months, large waves crash upon the pier and lighthouses, creating beautiful ice formations only nature is capable of. 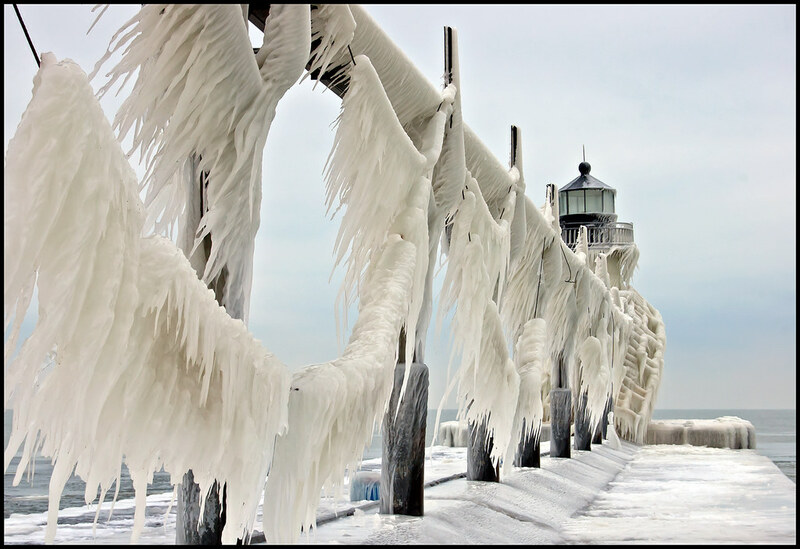 Over the years, environmental and landscape photographer Tom Gill has journeyed to the pier to capture the amazing ice formations. 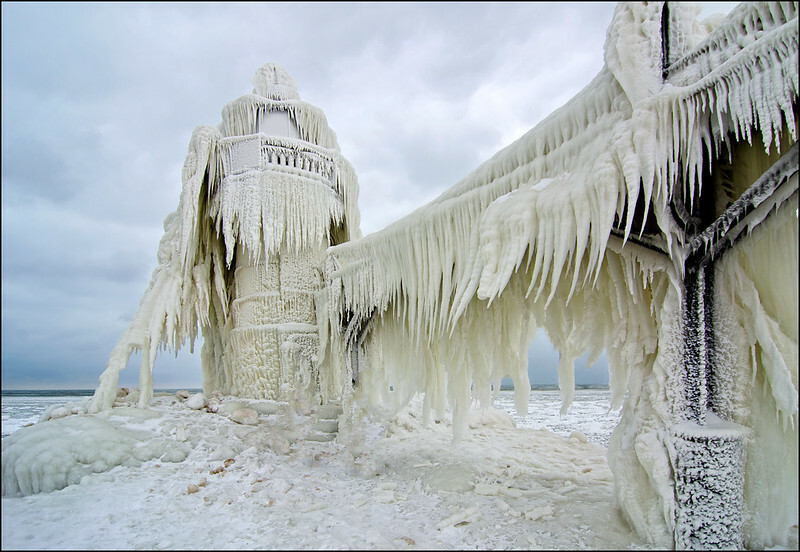 His photographs have been published worldwide and can be seen in his 75+ photo Flickr album entitled Frozen World. 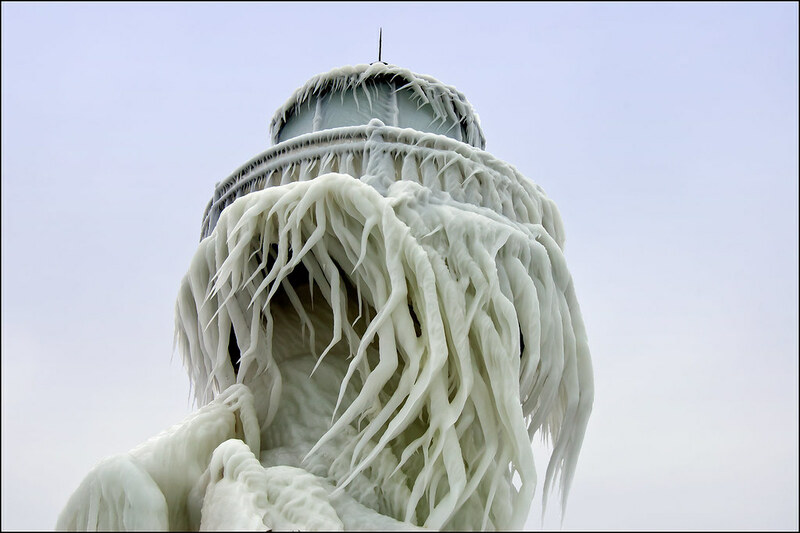 The inner lighthouse was first lit in 1907. 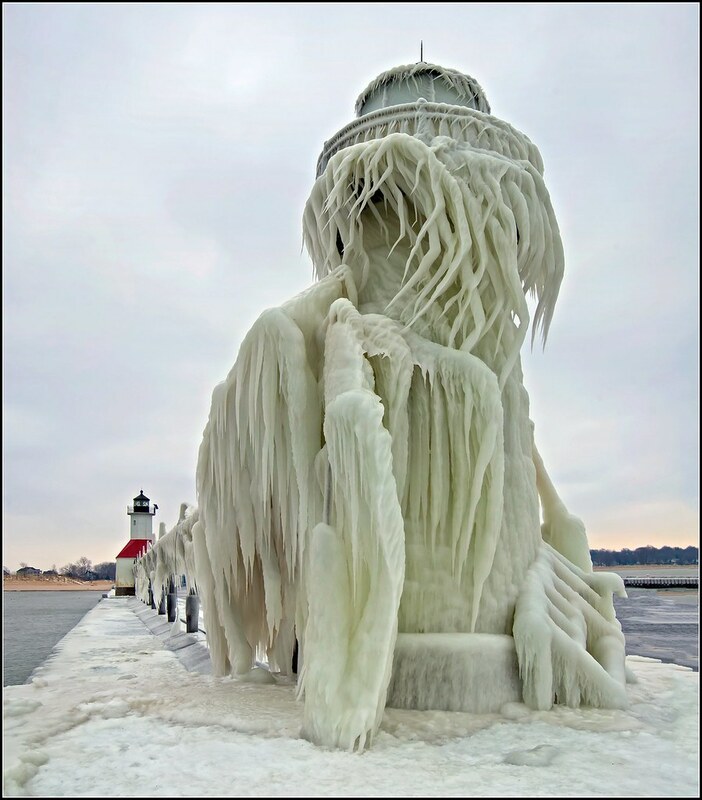 The steel tower stands 57 ft (17.37 m) tall with a light that is visible over a range of 270 degrees. The lights are connected by an elevated catwalk that extends from the shore to the outer lighthouse. 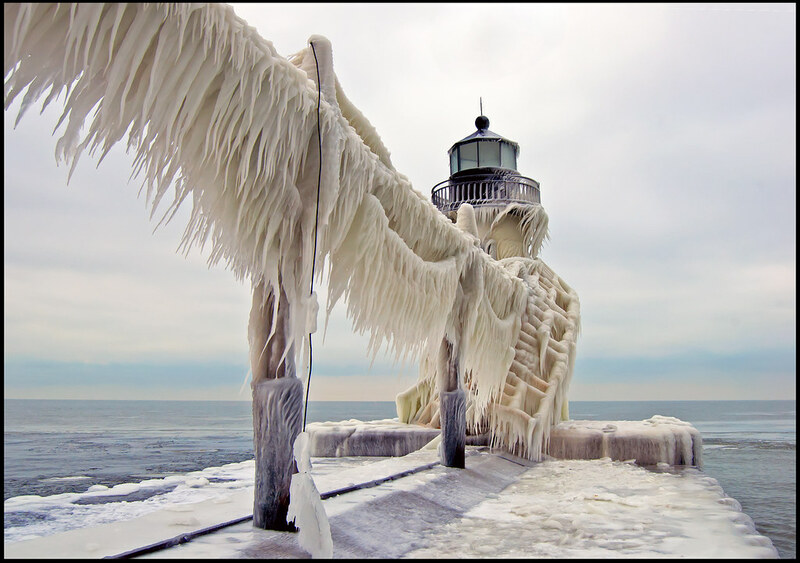 During inclement weather, the catwalk allows light keepers to access the lighthouses. 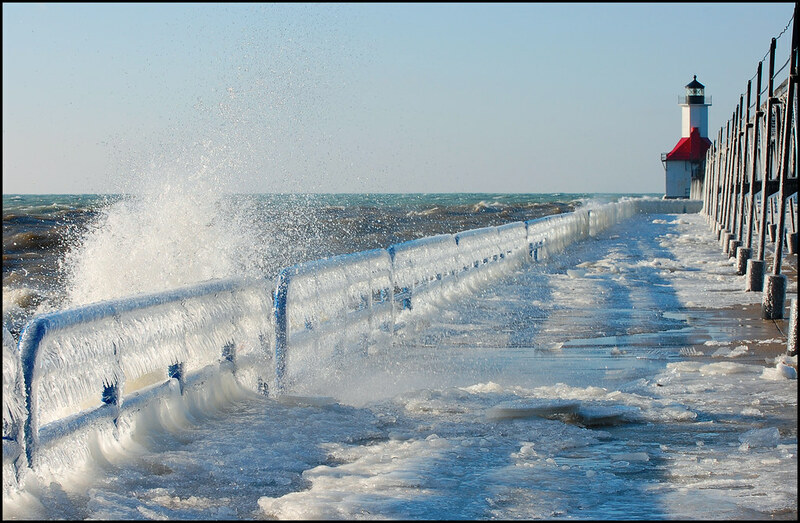 The pier is located on Lake Michigan, on the north breakwater at the mouth of the St. Joseph River in St. Joseph, Michigan, near Tiscornia Park. 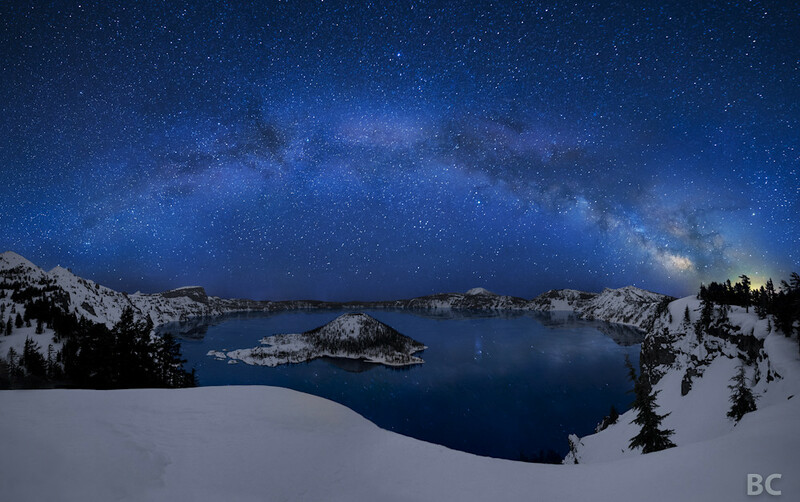 See Tom Gill’s Complete Frozen World Gallery on Flickr!